At times of remembrance and sympathy, it can be difficult to express your sentiments. This calming and beautiful arrangement is an elegant and thoughtful way to share your heartfelt sympathies at the most difficult of times. 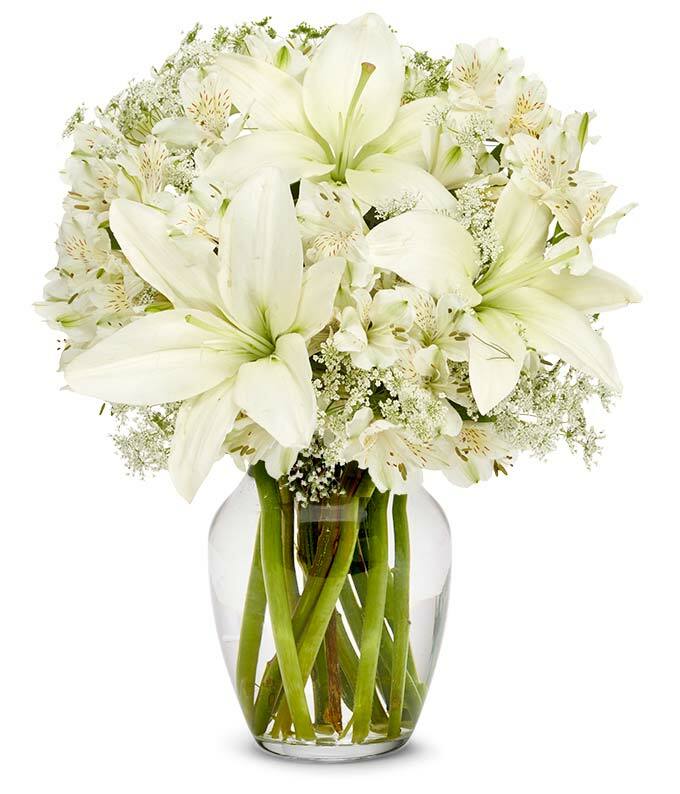 Carefully arranged with premium white lilies, this arrangement is an appropriate tribute for the home, service, or funeral.